For my Words posts, I have to find the definitions of the new-to-me words. This is easier for some words than for others. The first place I look is my falling apart Webster’s New World Dictionary, Third College Edition. But sometimes, Trusty Red lacks the word I’m looking up. What then? Where do I look when the dictionary doesn’t have the word I’m looking up? Some resources are better for certain kinds of words. • dictionary.com I kind of hate this ad-heavy site, but it’s easy to use. • Merriam-Webster dictionary The last time I went to look up a word here, though, it did have the word, but it wanted me to sign up for an account. Free trial though it may be, I didn’t want to register to look up a word. • Wikipedia Love it or hate it, sometimes it’s the only place I’ve been able to find what I’m looking for. Often I can find enough corroborating evidence at random places to ensure that I’ve found trustworthy information on Wikipedia. Wikipedia has been especially helpful when I’m looking up words that aren’t English. • Wordnik.com I’m starting to love Wordnik. It gives you definitions, examples, pronunciations, etymologies, usage statistics and more. From the About page: “Our goal is to show you as much information as possible, as fast as we can find it, for every word in English, and to give you a place where you can make your own opinions about words known. Traditional dictionaries make you wait until they’ve found what they consider to be “enough” information about a word before they will show it to you. Wordnik knows you don’t want to wait — if you’re interested in a word, we’re interested too! I’d love to have an unabridged Oxford English Dictionary, but in the meantime, I’m making do with the above. What about you? This entry was posted in blogging, word, WordLily and tagged internet. Bookmark the permalink. 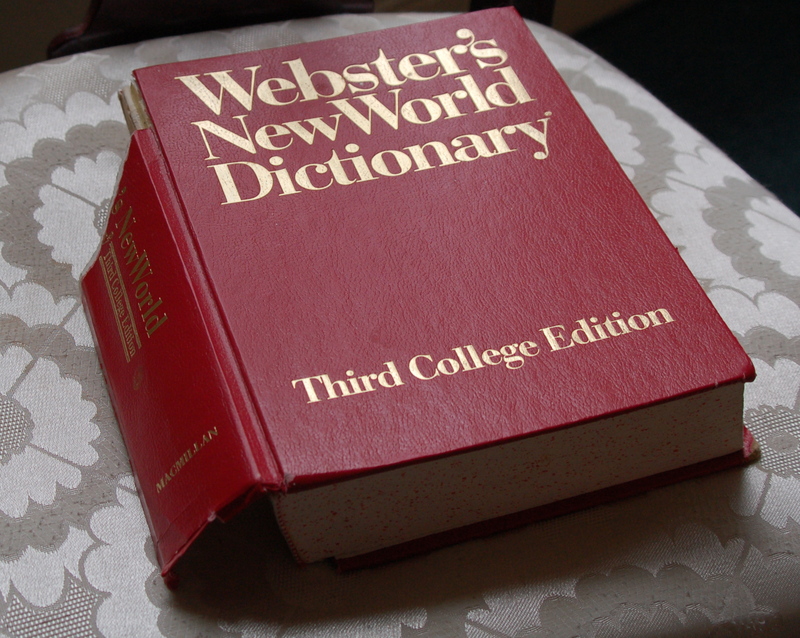 My first source is my trusty Merriam-Webster’s 11th edition Collegiate Dictionary. I forked out some dough for the Shorter Oxford English Dictionary app for my iPod…and it was totally worth it. I don’t have to put my book down to look up a word. And it’s surprisingly comprehensive. What a great post! I have a pocket Oxford next to my laptop and a Webster’s Ninth New Collegiate Dictionary on my closest bookshelf. Then there are the etymological dictionaries, one by Walter W. Skeat, The Roots of English by Robert Claiborne and the Oxford Dictionary of Word Histories. Sometimes I sit here and read the dictionary….thank you for Wordnik! That is one seriously used dictionary! I tend to go to the Miriam Webster version online as I’m generally with my laptop all the time. I’m lucky that I get free access to the online version of the Oxford English Dictionary through my local library. It’s a fantastic resource, so much more thorough than the standard Chambers dictionary I use, and just the derivations can give me new ideas. The danger, of course, is that it’s online, so I’ll go on to look up a word and end up spending the rest of my writing time checking email or watching Youtube videos on Tiger Woods. Sometimes it’s best to stick to paper! Your dictionary looks so well used and loved. It’s amazing how much time we spend with the tools that enrich our lives but never stop to really appreciate them. I like that you did this in your post.